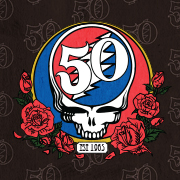 The more than 30 years of Grateful Dead history can be studied almost ad infinitum, as witnessed by the 40-odd books about the band that have been published so far. If you have a question concerning the Grateful Dead, their history, music, or musicians, Dancing Bear will answer it if we can. To aid us, we have access to the internet, the infinitely resourceful brotherhood of deadheads, and a lot of the aforementioned reference works. we can't tell you which live version of any given song is "the best". Firstly, we haven't heard every version. Secondly, your opinion is every bit as valid as ours. Please note: In order to reduce the amount of spam and the risk of vira, all e-mails with appended files are deleted automatically by our mail program. So please refrain from sending appended files if you wish us to be able to read your e-mail.